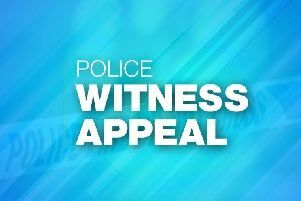 Detectives investigating the report of an aggravated burglary in Newtownabbey last night, Monday, September 24, are appealing for witnesses. Detective Constable Woods said: “We received a report around 9.25pm that four masked men, one armed with what is believed to have been a crowbar, forced entry to a house in the Abbeyville Park area. “Once inside, they searched the property. Damage was caused to a computer. “The men fled from the house a short time later in what was described as a small, possibly white-coloured car. Detective Constable Woods added: “Two of the suspects are described as having worn dark clothing, and were approximately 5’8-5’10’’ tall. “A third suspect was described as being 5’8’’ to 5’10’’, wore gold rimmed glasses, and black clothing with the lower part of his face covered. He is also said to have worn yellow or green coloured gardening gloves. “The fourth suspect is described as being 6’ 2’’, of a large but lean build, rimless glasses and wore black clothing and had the lower part of face covered. He also wore latex-type gloves. “Our enquiries are an early stage and I want to make a number of appeals today. “Were you in the Abbeyville Park area last night around this time? Did you see four men in the area acting suspiciously?